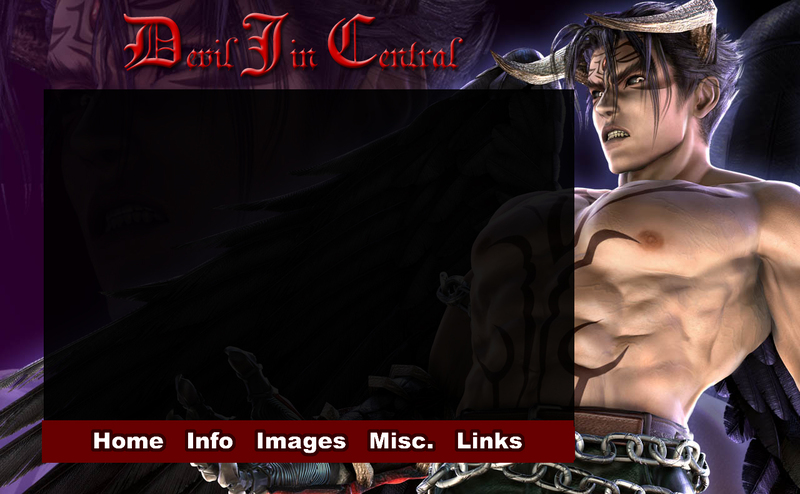 A design I had in mind for a site dedicated to Devil Jin, my favorite character from the video game, Tekken. The site never got off the ground, and ultimately, I probably would not have used the official Namco CG art of Dark Resurrection, shown here as the primary background image. Edited in Adobe Photoshop, never implemented into HTML and CSS.